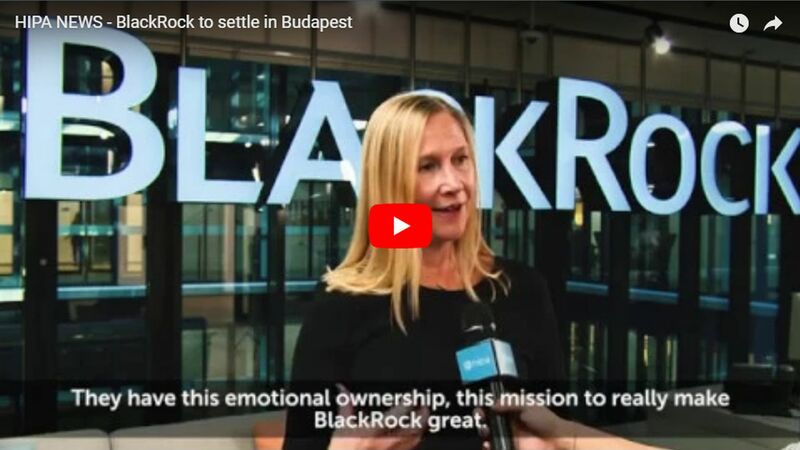 The world's largest asset manager, the American BlackRock settled in its new Budapest office with a perspective to further expand its innovation and technology centre. The Budapest office has grown to be the third largest among twenty BlackRock offices in the EMEA region (Europe, Middle-East and Africa) within less than two years. It has become the firm's largest office in Continental Europe. BlackRock was founded under the umbrella of The Blackstone Group in 1988, with a staff of just eight persons. In the 30 years since BlackRock has become the leading asset manager. It was listed on the New York Stock Exchange in 1999. Applying innovative technological solutions, the firm, which employs 14,000 people globally, provides both institutional and individual clients with asset and risk management services. Assets managed by them approximated USD 6,300 billion at the end of June 2018. The company announced in January 2017 that it was going to establish its innovation and technology centre in Budapest. BlackRock's decision was based on the quality of talent, living standards and the developed infrastructure offered by Budapest, as well as the commitment of the Government and the Hungarian Investment Promotion Agency (HIPA) towards the project. The current staff of the Budapest office of the company consists of 450 employees from 20 countries, of which 50 are Hungarians who relocated back to their home country from abroad. The office hosts teams across all major businesses and functions at BlackRock, from operations, client businesses, coders developing the company's core applications, to various investment teams. The centre established in the GTC White House Office Centre reflects the innovative character of the company and met all the important criteria, including location, infrastructure of the building, services offered in the neighbourhood and the possibility of expansion. The United States of America is the second biggest investor in Hungary (and the biggest one outside Europe) regarding the foreign direct capital present in the country. 1,700 companies deriving from the American relations employ more than 100,000 people.